“I’M BORED!” The holidays haven’t even begun, yet I can feel the hot stress of keeping my dyspraxic kid both entertained and educated this summer. Take a browse through everything, or choose something that takes your fancy from the menu. The book You’re So Clumsy Charley starts off with Charley being all sad that he spills things and struggles in school (sound familiar?). Then he has a holiday with his aunty! The book doesn’t mention dyspraxia until the last page; it leads the child to understand that it’s great to be different. And that although he’s still clumsy at the end of the book, Charley is also clever; it’s just about finding out what you’re good at. 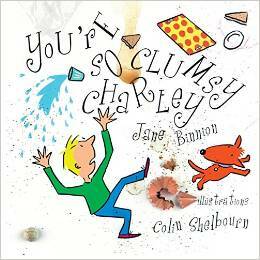 You’re So Clumsy Charley is available from Amazon for £9.75. 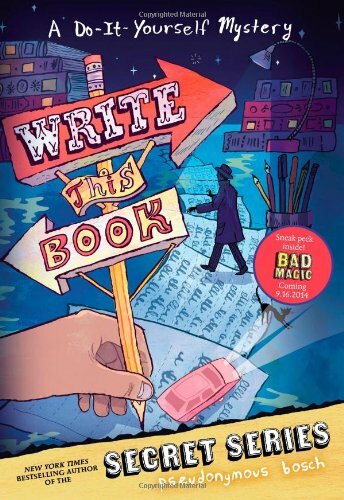 I initially thought this was quite expensive for a paperback book, but when I consider what my daughter has and will get out of it it’s worth every penny–I’ve wasted more money on special pens and pencils that haven’t even worked! I would say it’s aimed at primary school/grade school children, but older children (young teens) might find the book Caged in Chaos to be more appropriate for their age group. It’s written by a 16-year-old with a great sense of humour. Speed Up! is a kinaesthetic way of helping your child to write more clearly. In other words it uses physical exercises and tasks that are visual and fun. Fun handwriting practice? Have you lost your mind! Handwriting practice is joining up dots and getting stressed. Not in this case–it really is fun 🙂 It’s not full of dull worksheets; in fact, for the first four weeks your child doesn’t even pick up a pencil. There are physical exercises to do to warm up, painting, practicing joined up shapes on a blackboard without looking, making shapes with crayons… lots of different activities to keep kids interested. It’s an 8-week programme, so it’s ideal to start in the summer holidays. It’s aimed at kids from around 8, as the ultimate aim is joined up writing, but younger children will also enjoy Speed Up! Or younger kids can try Write From The Start, which is by the same author. I picked Speed Up (after trying both programs) because it’s more fun and something my little one looks forward to. Speed Up costs around Â£9, and you’ll need to buy things like a blackboard, sugar paper, crayons and paint. Yes, a pet shop is a strange thing to include in a ‘things to do in summer’ list, but bear with me, as Pets at Home offer two great options for kids entertainment and education. If you sign up for the Pets at Home loyalty card (free, of course) you’ll get their VIP magazine. Inside their magazine is a kids section–it’s a magazine inside the magazine. It has really great stuff and there are competition prizes too. 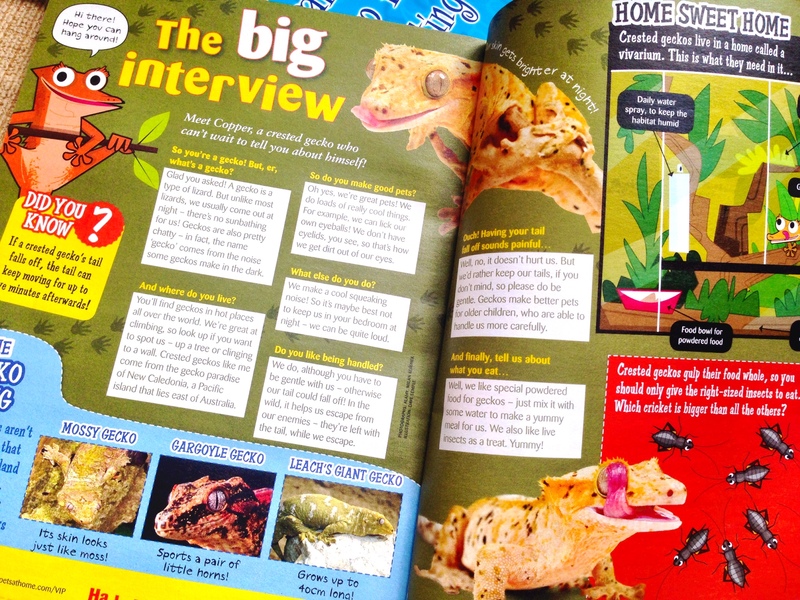 There’s even a chance of being a Pet Pals reporter–a good activity to keep them busy. Considering kids magazines are usually Â£3 minimum, it’s nice to get some free entertainment. But it doesn’t stop there as Pets at Home also offer My Pet Pals Summer Activity Club. You can check what activities they’ve got going on at your local store and book your child onto a workshop through their website. We’re heading off to a ‘small furries’ workshop, but there are all sorts to choose from, even reptiles :s It’s free too, of course. 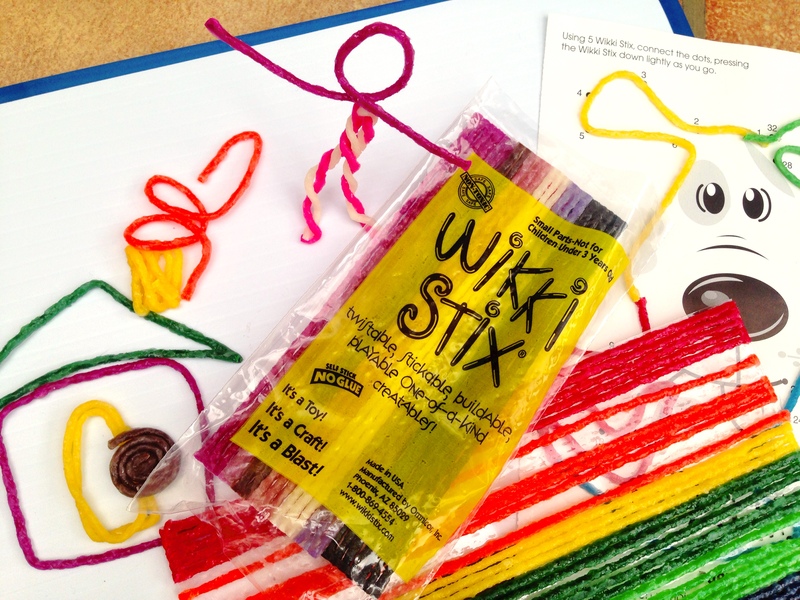 Wikki Stix (the same as Bendaroos) are the perfect thing to take on holiday. They are light and small (good news for luggage), not messy, and are great for creativity and fine motor skills. Wikki Stix can be used while travelling to keep little fidgety fingers busy without you worrying about the mess they’re making–there is none. Kids can bend them into shapes, model sculptures, make pictures, bend them into letters, do dot-to-dot pictures with them… loads of stuff. They are basically like pipecleaners only they are coated with a wax. You can get the sticks to ‘glue’ to each other just by holding them together for a few seconds–the wax melts them to each other, but they are easy to pull apart again. 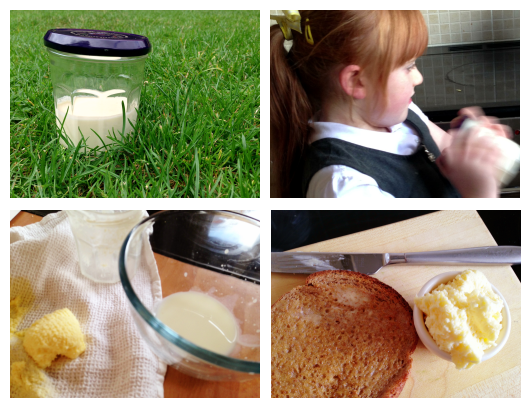 It’s great crafting-on-the-go, and is so so good for little dyspraxics fine motor skills. The starter pack is about £8, with lots of different colours and lengths, and a workboard that’s a good travel size. But there are smaller packs that just have the stix in them too. My little girl struggles big time with maths, having dyscalculia as well as dyspraxia, so I’ve signed her up to the Maths Factor. There are summer holiday clubs that go over the stuff they’ve covered in the past year as well as all the usual lessons. You can easily change their learning level to take part in the summer holiday clubs, or you can ignore those clubs completely and just focus on the lessons where your little one needs more help. Here’s a full review of the Maths Factor, if you’re interested, but needless to say it is definitely one I recommend. It’s visually perfect and is a program that teaches not just tests. 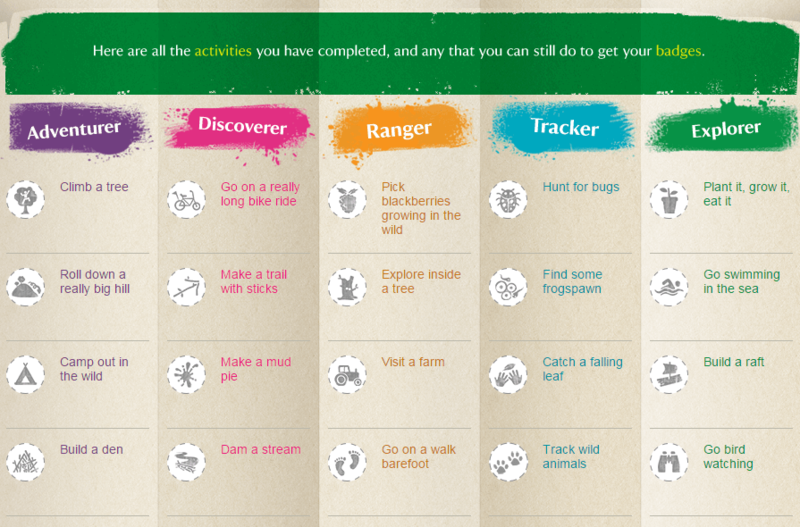 There are some fun games on there too that your child unlocks as they progress. You can visit the Maths Factor site and use the discount code WF-26402-FR when joining to get your first month for £1. 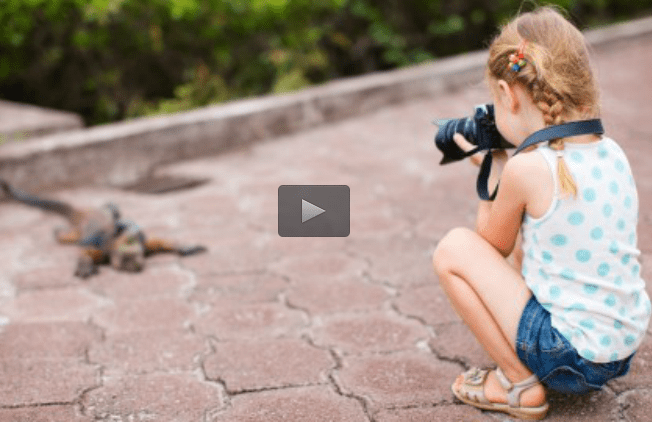 Your child can just use a smartphone as their camera, or use a simple point and shoot camera. You don’t need anything fancy. Either sign up for the Udemy course, or give your child a mission of your choosing. My little one loves doing this. I’ll write a little mission for that day on a small card and put in an envelope and make a big thing out of it at breakfast time. She gets really excited. You can easily use these ideas yourself, but you get more in-depth teaching and lessons on taking good photos if you do the course. My tip with Udemy is to sign up for a free course and then they will send you offers to get the paid courses for cheaper. I’ve never paid more than £15 for a Udemy course because of the regular offers they send through. A great way to get your kids moving and motivated in the summer hols. 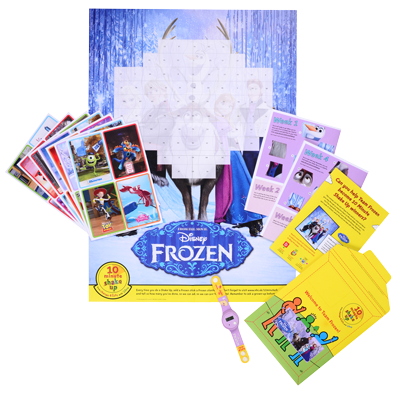 You pick a Disney team (Big Hero 6, Toy Story, Monsters, or Frozen) and then do games and fun activities throughout the summer holidays. Making sure your kids get up and move for at least 10 minutes a day. This is especially tricky for our dyspraxia kids, but I have a feeling that Olaf, Buzz, Baymax, and Mike are good inspiration. You get a certificate to print off that introduces the whole idea to your kid while you’re waiting for the pack to arrive. Wild cards and a very special team move to practise! The packs take about 2 weeks to arrive so get ordering them asap. They are restricted to one per child, but you can have up to three per household, so don’t worry if you have more than one little ‘I’m Bored’ character at home. Oh, did I mention they are free? Yay! Click here to register and order your pack. Well, you could look at it this way, it’s good practice under no pressure and if it’s something they are truly involved in then it won’t seem like handwriting practice at all. Or–and I totally sympathise that it depends on the little one’s mood–you could scribe for them or they could even type it up on the computer. We have a link at the bottom (under Further Resources) to a trial for Clicker 6 if typing is still a little slow too. 50 Things to Do before You’re 11 3/4 is a National Trust initiative and it has loads of ideas for keeping kids entertained outdoors. Sign up for a free online account and your little guys can earn badges and certificates for completing items on the list. Most of these activities aren’t going to cost you anything: it’s good old-fashioned stuff like make a mud pie; pick wild blackberries; hunt for bugs; create some wild art. Being close to nature is really good for calming down anxious little dyspraxics and most of these challenges are very achievable so they’ll have a real sense of accomplishment. You can also marry this up with taking photographs while you’re out and about to keep them doubly entertained. 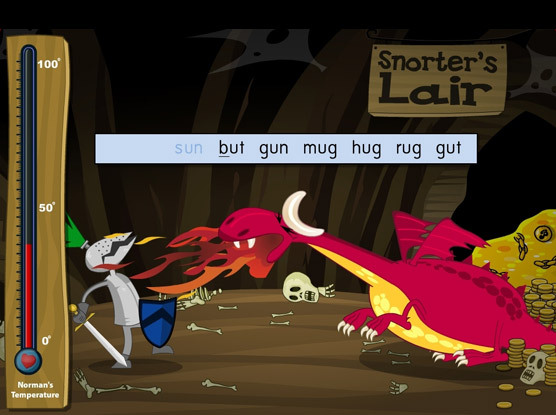 Nessy Fingers is a fun program to teach touch typing and we’re big fans at Dyspraxia Kids. Your child gets taught how to type all letters going from A-Z. The lessons are really good and there are little tests at the end of each lesson as well as games that kids can play, such as battling dragons and playing football with gorillas. The lessons are split up into manageable chunks–there’s not a point where your child should get fidgety or bored. Nessy, the friendly loch monster, guides you along the way–where your fingers should be on the keyboard, which fingers to use etc. 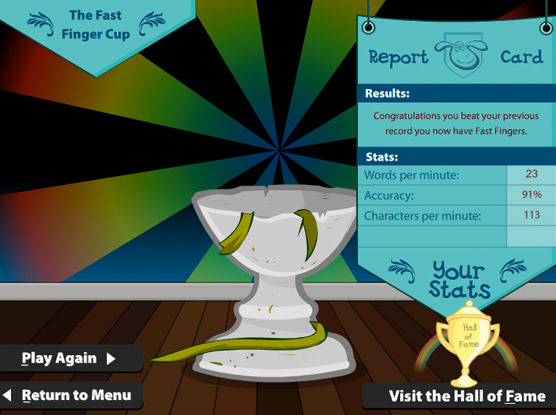 Your child gets rated at how slow or fast they type, but also how accurately. You can change the speed if the text on the screen goes by too quickly. It really is one of the few genuinely fun programs that actually teaches them, not just tests them. You can buy a CD to install the program on your computer or you can download it. We went for the download as it was cheaper and meant we could get going straightaway. The price is currently £18 for the download and £22.80 for the CD. Click here to visit the Nessy Fingers website. Science Sparks – All of this website is fabulous–science is actually fun! We did the liquid density one a couple of years ago and little one still talks about it. Understood.org has compiled a whole heap of free resources and worksheets for the summer hols.Â It’s not going to keep them going for hours, but it’s full of quick activities to pull out–especially if the summer is… hmmm… not so summery. Twinkl – 1000s of free educational resources. Sign up for a free four-week trial of Clicker 6. This program is commonly used in schools to help kids like ours get their ideas on paper. There are word banks and a word suggestion tool, which help if your dyspraxia kid isn’t yet as fast as Nessy at typing. There are videos on the site to explain it further. 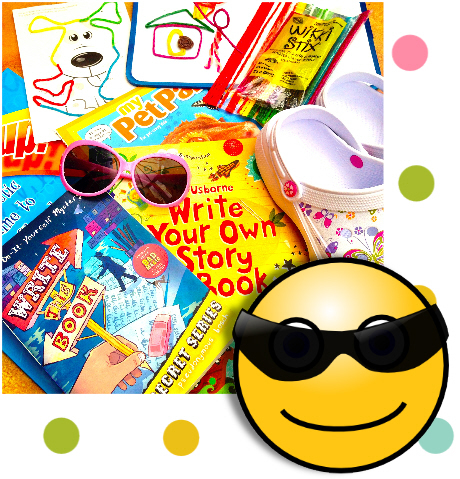 And don’t forget to check out Poundland for some educational workbooks–we’ve got two of the French ones and they’re fabulous for kids with dyspraxia as they are bright and visual, and full of games. * Read here for more information on summer learning loss.